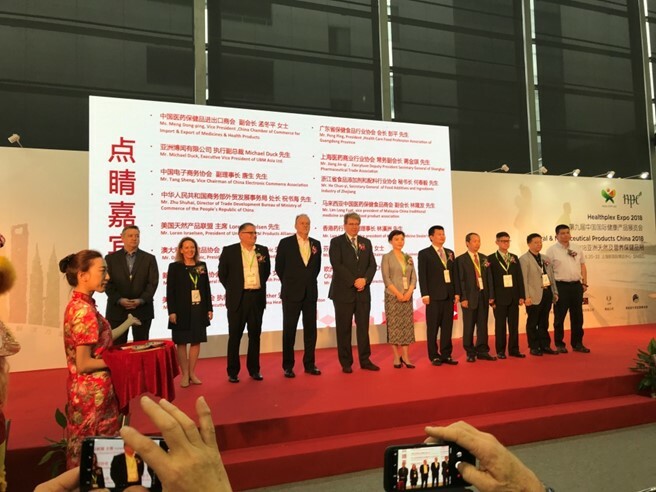 A few weeks ago, CMA hosted the inaugural Australian Pavilion at Healthplex in Shanghai, organised with assistance by the China Chamber of Commerce for Import & Export of Medicines & Health Products (CCCMHPIE). CMA led seven leading Australian complementary medicines companies and over 110 delegates. On the first day, the CMA delegation was invited to the Healthplex official opening as VIP guests. CMA President Dusko Pejnovic was honoured to give a speech on behalf of all expo exhibitors, join in the ribbon cutting and also attend an ‘eye-dotting ceremony’. 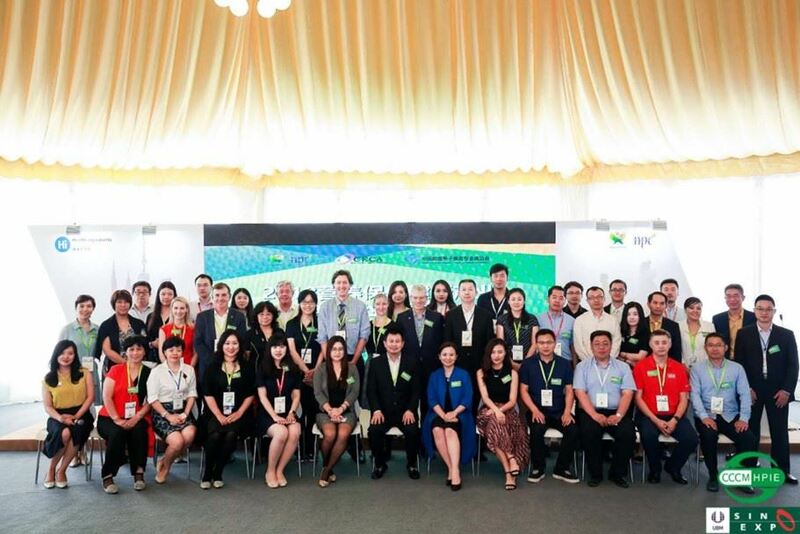 Our Australian Pavilion was very popular with expo visitors for the entire three days, and delegates enjoyed a full schedule of meetings with various international stakeholders at the Pavilion. Our Pavilion looked balanced and united, and most importantly, was successful in demonstrating our ‘Brand Australia’ - that is, emphasising that Australia manufactures complementary medicines to pharmaceuticals standards, supporting a global reputation for quality and safety, and making Australian products a sought after choice for health conscious-consumers. 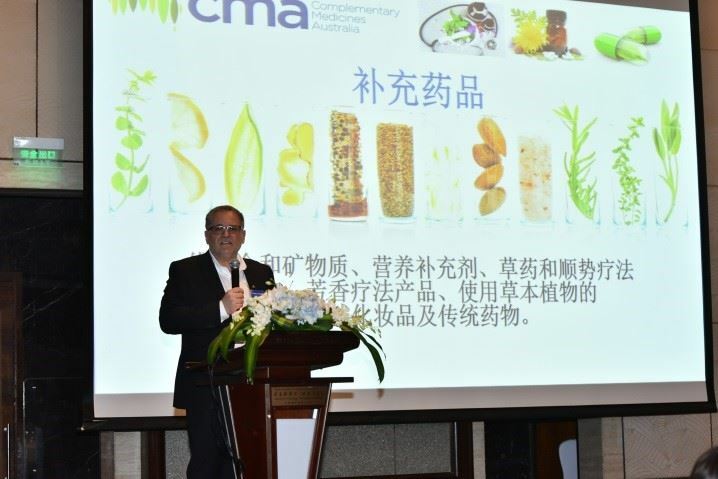 As well as exhibiting, the CMA delegation also got the opportunity to attend a series of events, including the 5th Nutraceutical Industry Development Conference to learn the latest about regulations, cross-border e-commerce, WeChat social media, consumer trends, and the market environment in China. At the conference, CMA President Dusko Pejnovic made a presentation on the Australian regulatory system, which is respected around the world. On the fist evening of the Healthplex, the Australian and NZ delegates were hosted by the CCCMHPIE at a VIP networking dinner. 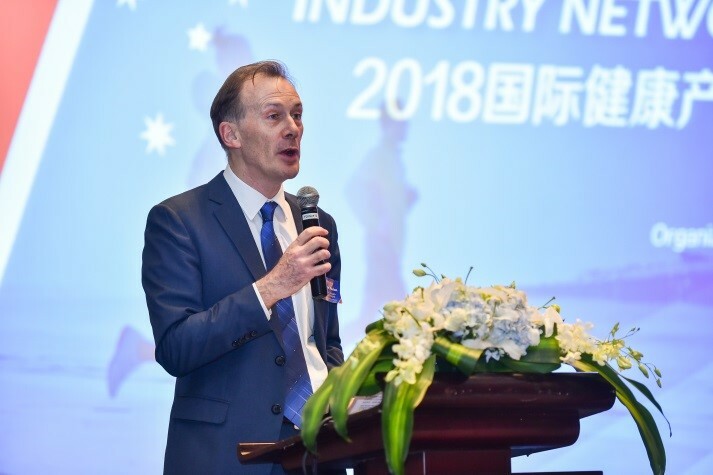 Everyone had a great time enjoying food and drinks, and networking with Chinese stakeholders and Australian officials, including Mr Graeme Meehan, Australian Consul General in Shanghai. On the second day, the CCCMHPIE kindly organised a special event -“Australian Brand Show” for the Australian Pavilion exhibitors. Each exhibitor was given an opportunity to introduce their company and products to Chinese consumers on the stage. 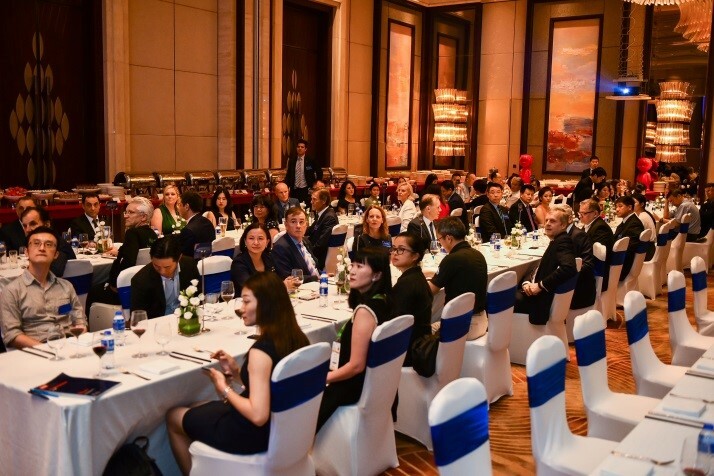 The first 2018 Nutrition & Health Industry Cross-border E-Commerce Industry Exchange Conference was also held on the second day. 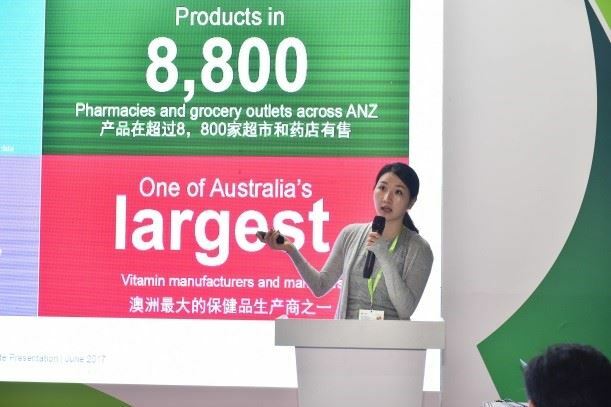 The idea of this conference was to meet the strong demand from overseas health product exhibitors to find cross-border e-commerce distribution channels in China. Each exhibitor had plenty of networking opportunities and made great contacts through this conference. The Australian Pavilion was a great success. CMA wishes to thank each Australian Pavilion exhibitor, including Blackmores, Caruso’s Natural Health, Integria Healthcare, Lipa Pharmaceuticals, Pharmacare Laboratories, Sanofi Consumer Healthcare, and Swisse Wellness. Your participation made the Australian Pavilion possible. We would also like to say thank you to other members of the CMA delegation who joined our trip to Shanghai. We hope everyone had a productive and enjoyable week. Finally, we would like to thank the CCCMHPIE for their incredible assistance on our very first Australian Pavilion and for hosting the wonderful networking dinner. 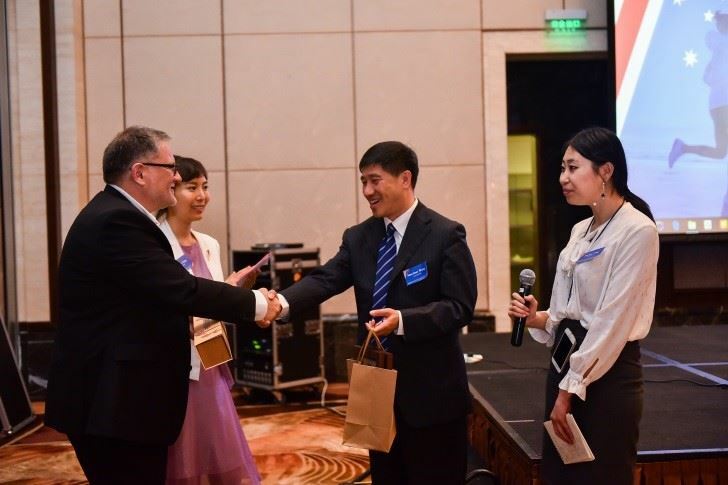 CMA looks forward to welcoming a Chinese delegation led by the CCCMHPIE to CMA’s 19th Annual Conference and Industry Awards in September. We also look forward to making an exciting announcement about the Australian Pavilion at Healthplex 2019 to our members shortly.